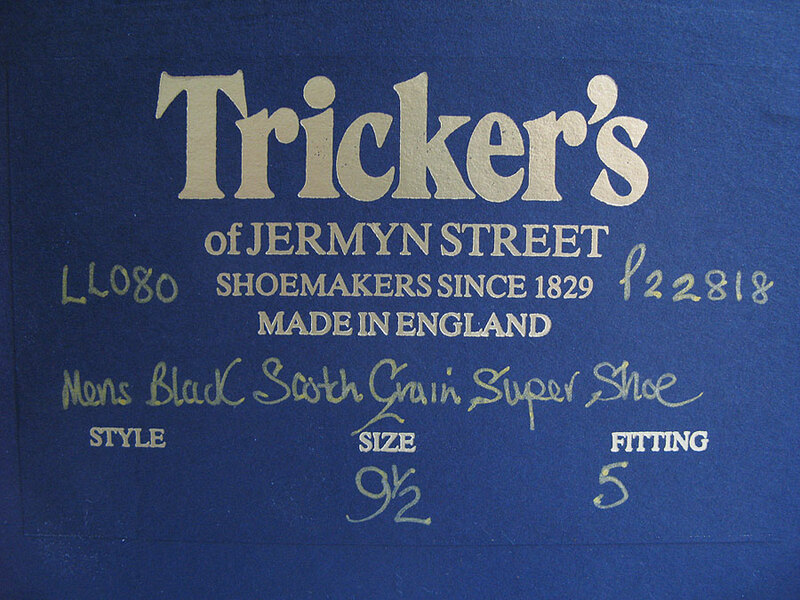 As it’s getting close to autumn, I’m about to once again be stepping out in my first pair of custom made Tricker’s, ordered through Stitched & Stitched favourite; The Shoe Healer. There’s nothing quite as satisfying as wearing a pair of shoes you’ve ‘created’ yourself and, at the time, this model was only a fraction more expensive than ‘ready to wear’ options. 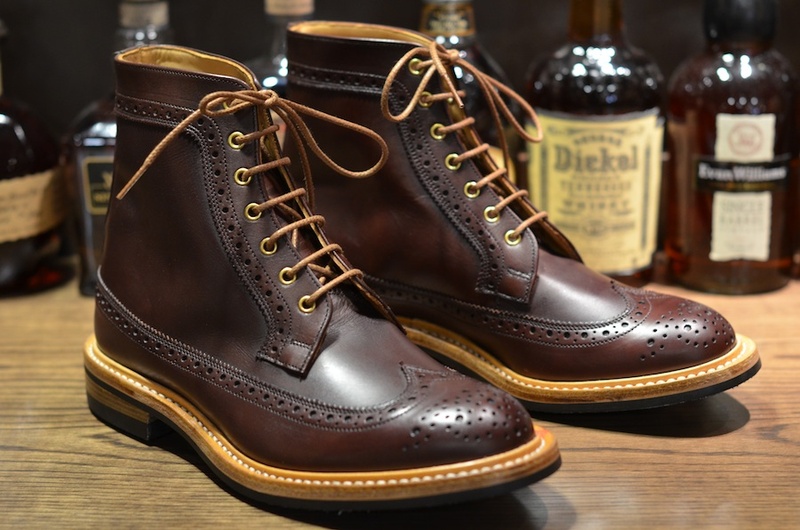 I ended up looking at a custom made option as I’d missed out on a pair of Tricker’s Scotch Grain Allan boots with a red dainite sole that I’d longed after for a while from The Bureau Belfast. When I went to order them at last, they’d sold out of my size. So with that style in mind, mixed with a long term want for a simpler pair of Tricker’s in black, I went about designing my own pair. 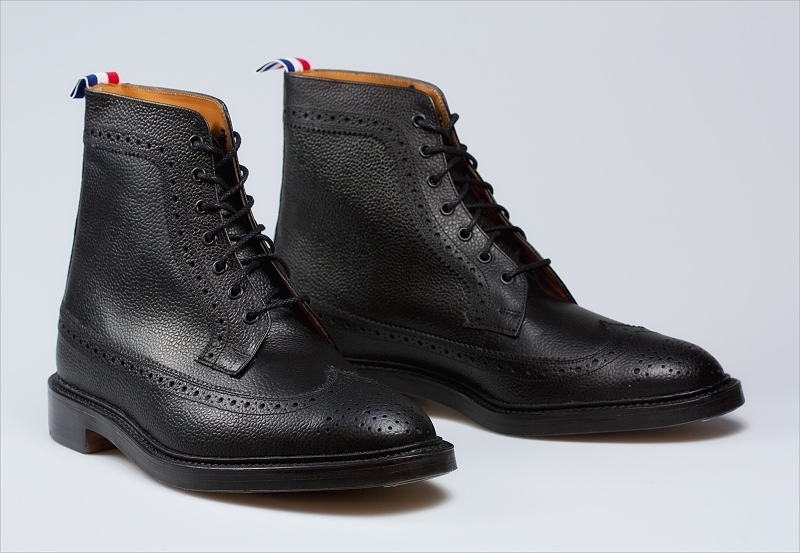 Rather tragically, and to satisfy my own curiosity, I chopped up The Bureau’s product shot of the Allan boots in Photoshop to make the shoe I was after. It was my first time buying custom made shoes, so I figured if I had a clear visual reference for Tricker’s to match to then nothing could go wrong. I realise this was totally excessive as I would now be completely confident consulting with Richard (The Shoe Healer) on shoe style and materials with his expertise as a guidance (kind of how men have been ordering bespoke shoes for centuries really). Designing a shoe in Photoshop. There are a lot easier ways to order an MTO pair of shoes. 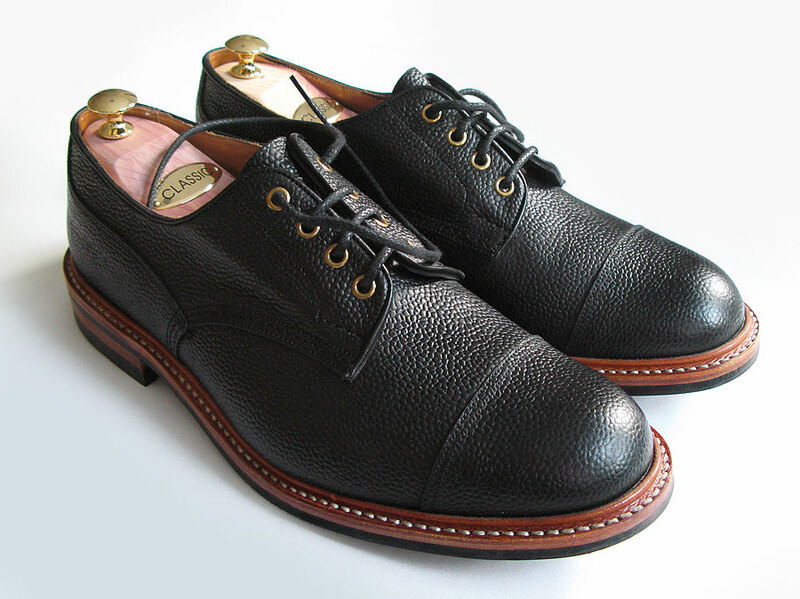 The chopped up image I gave to Richard to match to resulted in a classic Tricker’s Matlock in Black Scotch grain with natural leather and black dainite sole with brass coloured eyelets to highlight the natural leather of the sole. The real deal came pleasingly close to the visual. 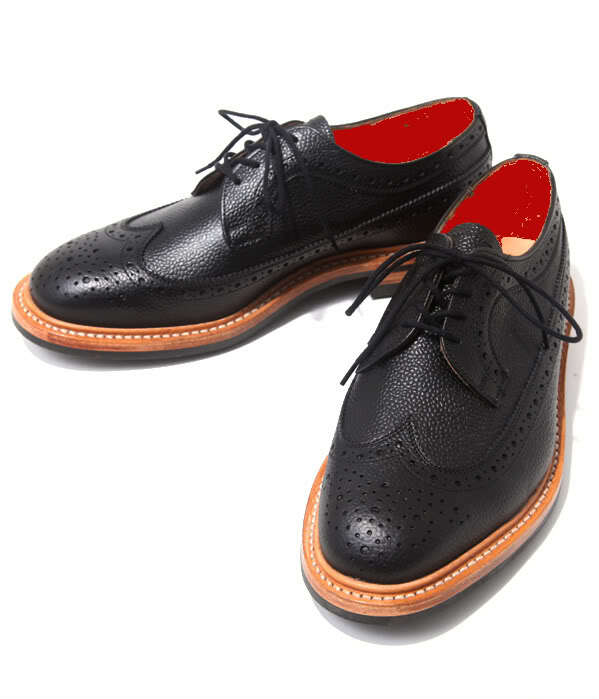 This entry was posted in Footwear, Trickers and tagged M.T.O, The Shoe Healer, Trickers. Bookmark the permalink.